Several factors are associated with altering the rules of surgical education. The hospital inpatient population is becoming more complicated and surgical therapy is potentially becoming more technologically complex. Insurance payers and, in particular, government watchdogs are requiring more supervision and less autonomy of the residents. The residents are being asked to learn the same or more material in fewer working hours. Practicing urologists are facing the same phenomena, which is increasingly taxing the endurance to stay current. This is the scenario that is poised for the combinations of all of the just discussed technologies to merge with telecommunications and allow guided preceptorships remotely. If you throw in robotic surgery, then telementoring is not even necessary. The expert at one location can perform the surgery at another without physically being present (100). Telementoring has already been performed for multiple surgeries as well as urologic laparoscopic cases. Dr. Kavoussi's group at Johns Hopkins has gained significant notoriety for this pioneering effort. In their initial studies, the surgeon mentor was located in a control room more than 1000 feet from the operating room. 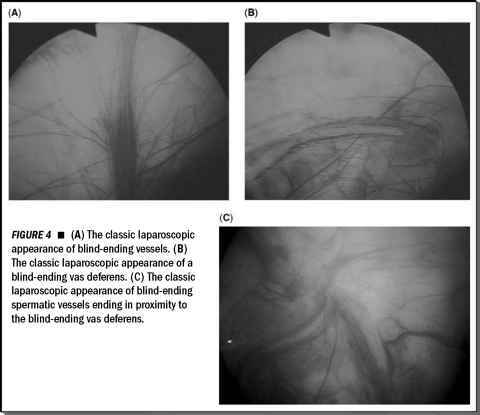 Fourteen advanced and nine basic laparoscopic procedures were performed. Telementoring was accomplished using real-time computer video images, two-way audio communication links, and a robotic arm to control the videoendoscope. Success was achieved in 22/23 cases, without increased operative times or complications. They then extended their investigations and distances between the Johns Hopkins Bayview Medical Center and the Johns Hopkins Hospital (distance = 3.5 miles) for 27 more telementoring laparoscopic procedures utilizing public phone lines. Finally, they have extended their novel surgical instruction capabilities to the international arena with one case in Innsbruck, Austria, and two cases in Bangkok, Thailand (101). Others have reported upon the technology necessary for successful telementoring. The U.S. Navy recently studied the feasibility of laparoscopic hernia repairs aboard the USS Abraham Lincoln while cruising the Pacific Ocean. Telementoring was possible from remote locations in Maryland and California (102). In a recent research investigation, Broderick et al. at the Virginia Commonwealth University reported that decreasing transmission bandwidth does not significantly affect laparoscopic image clarity or color fidelity as long as the laparoscopes are positioned and maintained at their optimal working distance (103). Now for the ultimate in technophilia, a recent Internet study on the attitudes and practices of general surgeons was performed. Over two months, 459 surgeons were enrolled in a study on the World Wide Web. Those polled stated that the Internet was used to expand their knowledge of surgery in 74.5%, more than half of them stated that they favored more advances in technology such as robotics in the operating room (53%), and most (78%) favored the technology necessary for telementoring to learn new laparoscopic procedures (104). Technology and advances in urologic surgery are being paralleled by research interests in the methods of acquiring skills and teaching. There is no doubt that computer-assisted methods of education will proliferate and that the classic methods for keeping current will be transitioned into a high-tech data stream of information. Telementoring is already a reality at those institutions that have been on the forefront of laparoscopic surgery. It is only a matter of time when an "off the shelf" package will be added to an operating room in your locale for furthering the training of interested surgeons. There are centers cropping up around the globe interested in expanding the envelope of technology on laparoscopic surgical education. Most of these centers currently come with a high price tag. But as seen so clearly with computerized systems, this too should become an integral part of surgical education at any institution interested in less invasive surgical technology. One such center (Center for Minimal Access Surgery in London, Ontario) has recently published its first paper on the establishment of a "state-of-the-art" multidisciplinary technological education and research center for minimally invasive surgical techniques. The technologies available for skill acquisition include high-fidelity Minimal Access trainers, Body Form Simulators, a virtual reality system, a computerized laparoscopic skills workstation, and a multimedia library of laparoscopic procedures. In addition, the Center for Minimal Access Surgery has started a videoconferencing system to be integrated with its various components to enhance education via telementoring (105). Advanced endoscopic suturing and knotting should be easily mastered in such environments.